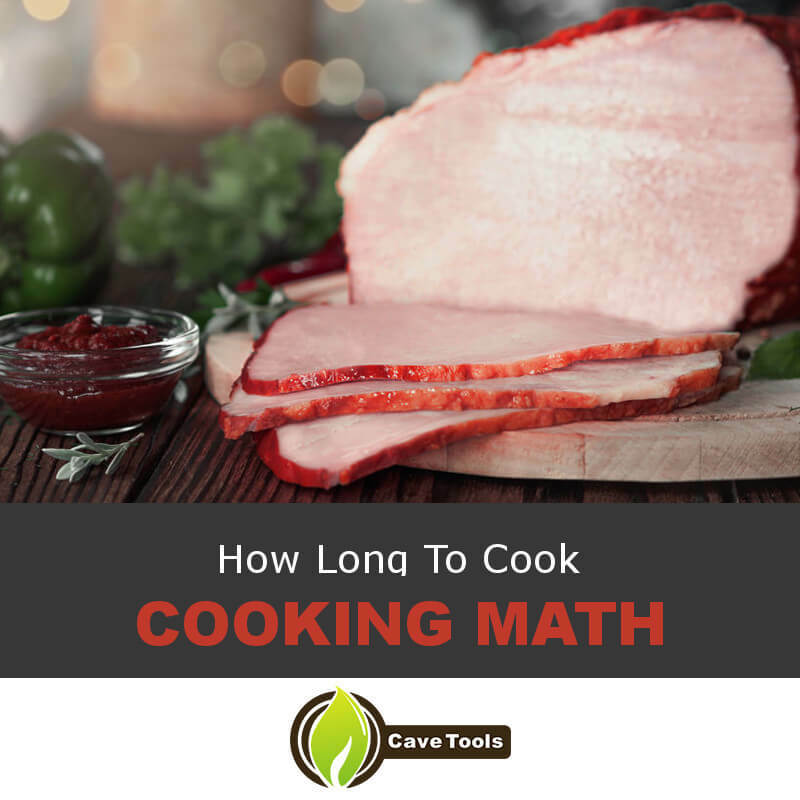 →Cooking Math: How Long To Cook Per Pound Of Brisket? Cooking Math: How Long To Cook Per Pound Of Brisket? A smoked brisket is one of the all time greatest barbecue dishes you can have. Great for eating by itself, as part of a sandwich, or in any number of other applications, you'd be hard-pressed to find a more delicious type of beef for your smoker. But as with any piece of meat you're putting on the barbecue, the question always comes back to how long it needs to be cooked. This is a quandary plaguing many who aren't experienced with smoking things like this, as it can be unfortunately easy to over or undercook the brisket and waste a great cut of meat. To help ensure this doesn't happen, we've compiled some handy tips as well as a recipe guide for smoking the perfect beef brisket. 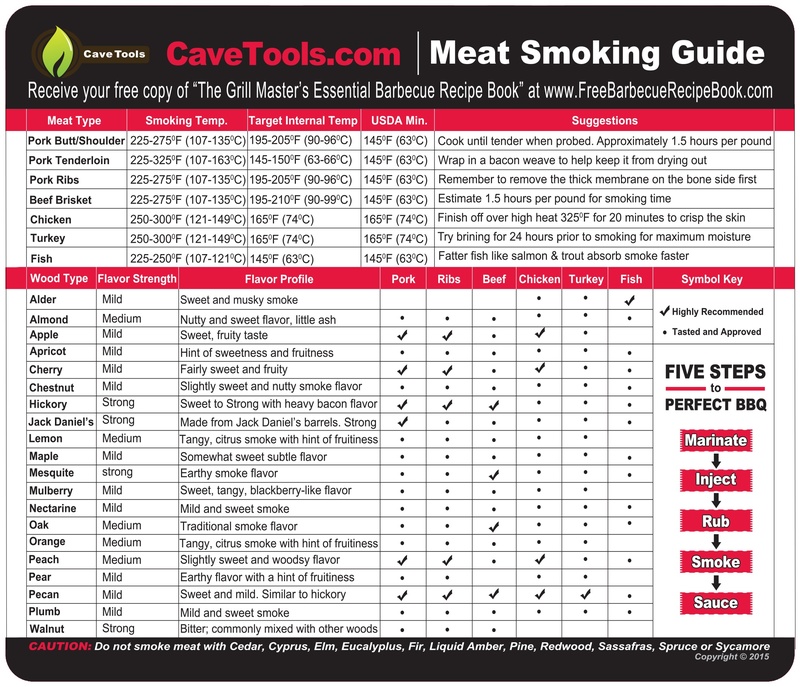 So if you want to learn all the ins and outs of smoking a brisket, from cook time to temperature when done to even what kind of wood to use, then look no further. Let's get started. ​Beef brisket (6 lbs or so). 1 tablespoon freshly ground black pepper (coarse grind). Wood chunks or chips (details below). Large metal bowl or plastic container with lid. 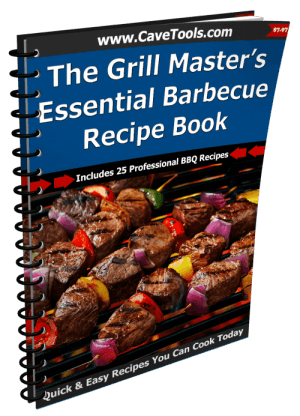 With barbecuing, half the flavor comes from the wood you use. While there's no hard and fast rules on what kind of wood you must use for smoking your brisket, certain options are better suited to compliment and enhance the flavors of beef. Common choices include hickory, oak, and maple, generally considered to have a "heartier" flavor. You could even combine different woods for new flavor combinations. Experiment and decide for yourself what you enjoy. When judging how long to cook a piece of meat, many people default to using the weight as a barometer. While this is not without its merits (more meat will need to cook longer), it's a somewhat flawed measure that ignores the other major factor in the equation - the thickness. The thickness of a piece of meat determines how quickly and to what extent the heat produces by the flames can penetrate into it. Not accounting for the thickness of a piece of meat is how you can end up with a perfectly done steak on the outside but a stone cold, raw interior. To apply this to your brisket, you'll need to account for both its weight and thickness when deciding how long to cook it. Once you've gathered your supplies, you can begin ​to cook brisket​. Before you begin work on any other step, you can begin by trimming your meat. This simply means tidying it up by cutting off small bits of meat, fat, and silver skin to give it a more uniform appearance. Uniformity helps the meat cook more evenly. Additionally, try to cut the fat cap to around half an inch in thickness, as this will provide optimum moisture and flavor while preventing it from not rendering fully during cooking. To help enhance the flavors of your meat, marinate your whole brisket in the fridge overnight and up to a whole day. To create a marinade, simply mix together the beer, the onion and garlic (both peeled and diced), 1/4 cup of chili powder, the brown sugar, the bay leaves, the vinegar, and 2 tablespoons worth of salt in a large container. Place your meat into the container, turning it over to ensure the marinade can coat the entire surface, covering with a lid or plastic wrap and placing it in the fridge. If there is not enough marinade to fully cover your meat, remember to turn it every few hours during its soak. 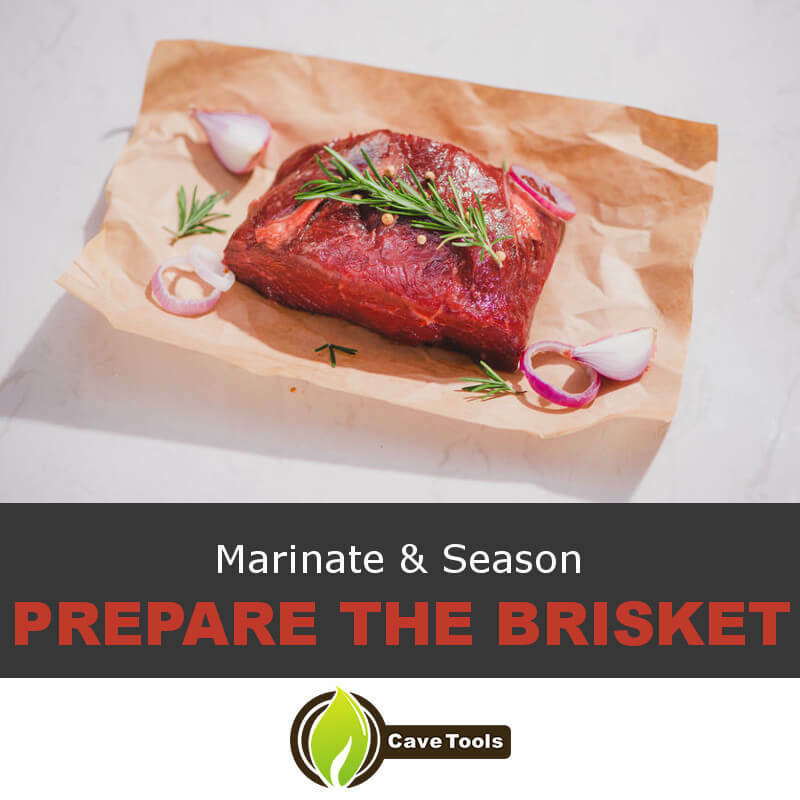 Once marinaded, remove the brisket from the container and place it on a wire rack, letting the excess drain off and patting the surface dry with paper towels (reserve any remaining marinade for later). When this is done, score the surface of the fat in a diamond pattern with a sharp knife, being careful to only cut through the fact and not the meat itself. Mix together your remaining spices and apply them generously to the meat, rubbing into the cuts you made earlier. When completely covered, wrap the beef tightly in plastic wrap and store in the fridge for at least two hours and up to two days. The longer you let it sit, the more the flavors will develop. Half an hour before you're ready to cook, take your beef out of the fridge and let it sit out to warm up to around 225 degrees Fahrenheit. Additionally, soak any wood chips you intend to use in hot water at this point, too. As it does, go outside and prepare your smoker by loading it halfway with charcoal and setting it alight, closing the lid to let the coals burn down. While the smoker comes up to temperature, transfer any reserved marinade into a saucepan. Bring to a boil over medium heat, then set aside to cool. Once the smoker has had a chance to get hot, add on more charcoal, your wood, and fill the water tank before closing the lid again to let the smoke build up. 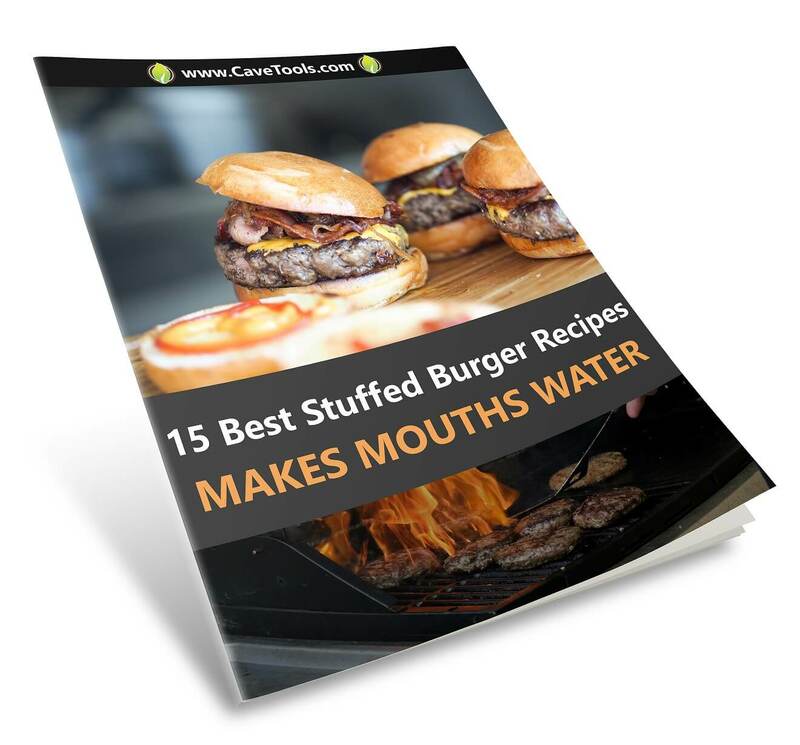 With your smoker ready, you can finally begin cooking. Place your brisket into a large aluminum baking pan to catch the fat and juices as it cooks, setting the pan on top of the smoker grate and closing the lid. Over the next several hours, monitor the levels of charcoal, wood, and water in the smoker, refilling as needed and adjusting airflow to keep the temperature consistent. Every half hour or so, brush the meat down with some of your marinade to help add extra flavor and keep the outside of the brisket moist. 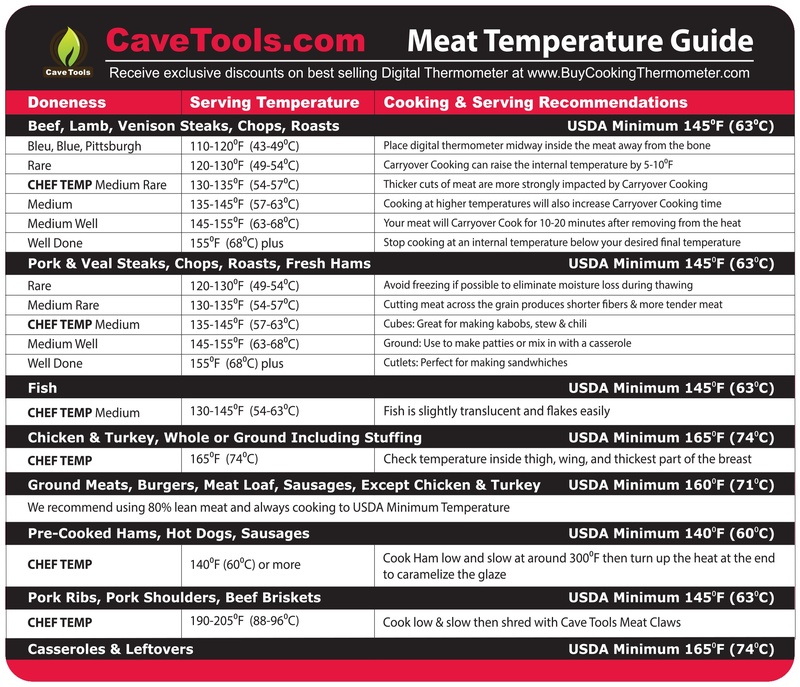 By weight, the meat described in the supplies above would take around 3 to 4 hours to finish cooking completely. To be sure, beginning checking the temperature with a thermometer around two and a half hours in. It will be finished cooking at around 190 degrees Fahrenheit at the thickest point. Additionally, try sticking a fork into the meat and twisting it; if it moves easily and without much resistance, you're good to go. After you take the brisket off the heat, wrap the top in aluminum foil and let it rest for half an hour or for the same amount of time it was cooked (you can also store it inside a cleaned cooler to help retain warmth). This allows the meat ample time to finish cooking and helps it tenderize as the proteins relax. With your meat cooled, you'll finally be able to serve up your smoked brisket. If you like, you can use some of the remaining marinade and the collected juices from the resting meat in making a sauce or gravy by simply reducing them in a pan and seasoning as needed. Otherwise, carve it up and eat it as is next to some classic barbecue sides. Now you've got all the skills you need to cook an outstanding smoked brisket like a barbecue champ. Hopefully now you know how much time is the right cooking time to make the perfect brisket. Remember the tip about thickness versus weight when it comes to cooking your meat and you'll be prepared to make briskets as big as you like. 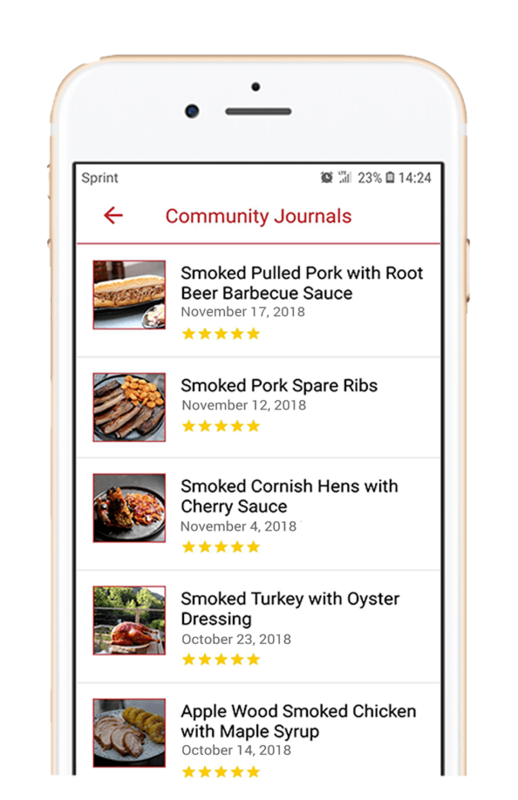 Did you enjoy this recipe guide? Have any tips on barbecuing brisket you want to share? Let us know down below, and share this page with a friend who might need some help figuring things out for themselves. ​Is Brisket a Good Cut of Meat? 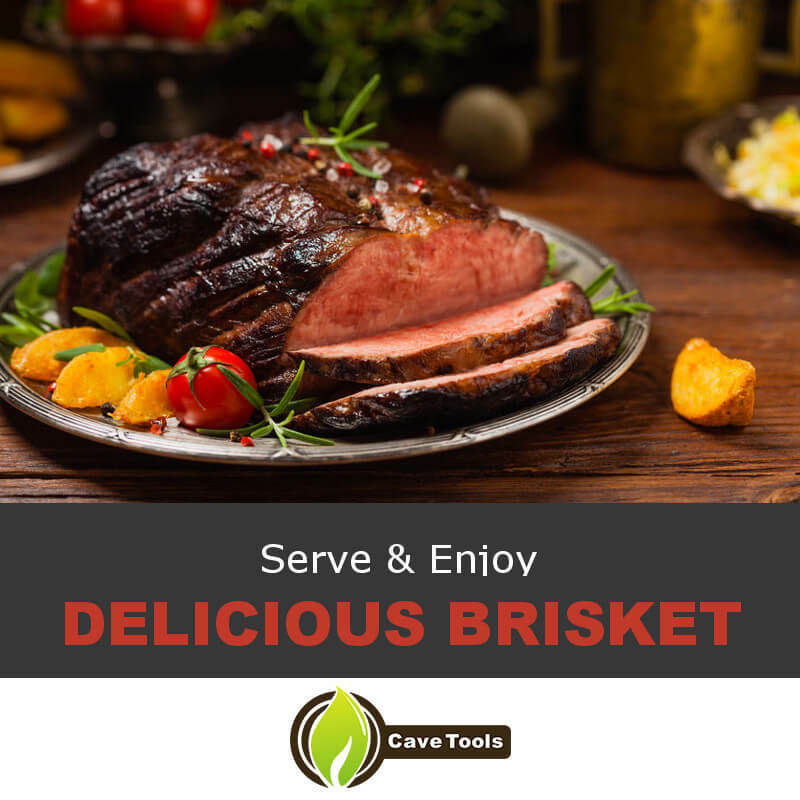 ​If cooked properly, brisket is full of flavor and can be tender and delicious. If undercooked or overcooked, however, brisket can taste tough! Some people say “Brisket, Don’t Risk It!” but we say go for it - just follow our guide ​and cook it for the proper amount of time. ​This cut of meat comes from the cow’s breast section and it includes the pectoral muscles. Since these muscles are well used in a cow, there is a lot of connective tissue. Cooked low and slow, that connective tissue will break down and produce collagen, resulting in a very tender and juicy piece of meat. ​Do You Need to Trim Brisket? ​A brisket can come as the entire primal cut or it can come as the flat cut. The flat cut has less fat and doesn’t require too much trimming. The entire primal will come with a very large fat cap on top, and most people like to trim this off. You can trim it entirely so there is no fat covering on the top, or you can trim it so it’s 1/4-inch thick. If you don’t feel comfortable trimming such an expensive piece of meat, you can always ask your butcher to trim it for you. ​What Temperature To Cook a Brisket? ​There are two phases to cooking a tender and juicy brisket. The first is to smoke or roast it in the open. Place it in your oven or smoker and allow it to cook until it reaches 170 degrees F. You can close the lid of the smoker, but you don’t want to cover the brisket. Once it reaches this temperature, remove the brisket and wrap it tightly in aluminum foil to steam cook it the rest of the way. Then, continue cooking it until it reaches 190 degrees F.
​How Many People Can I Feed with a Brisket? 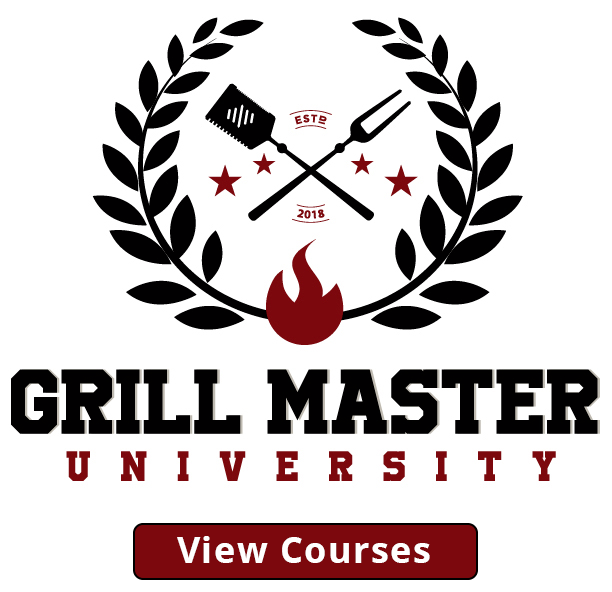 ​There is a lot of shrinkage, fat loss, and water loss that results from cooking a brisket. You can lose anywhere from 40 to 50 percent of the raw weight. Since a serving of cooked brisket is about 5-ounces, you could assume that would be 8-ounces of raw weight. So, every pound of uncooked brisket will feed approximately two people.